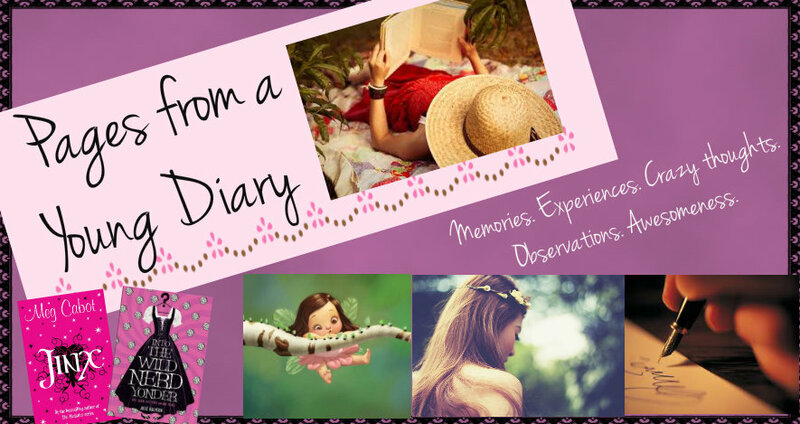 Pages from a Young Diary: Just how random could you be? Will you please make me feel calm, free and stable "from inside"? I know I'd feel that way when I know what's bothering me. I mean, fine. I do know some of the reasons, and I feel sad that I can't do much about them, because they just can't be helped. How can you deal with grief over missing your loved ones? Time heals, bas. I just am grateful for friends who help. I decided just a few moments ago, for the millionth time, that since I've tried many other things to try being happy, I should use the 'write-humor-just-like-you-used-to' technique. Again. I've tried and failed because it seems I can't really write "that way" unless I'm feeling really awesome, which was a feeling so full in me until a couple of years ago. I mean, have you guys even read my previous posts? I feel awesome just reading them over and over, trying to find The Lost Girl! Anyway, what am I supposed to even write on? I'm so not into planned posts right now (which, believe me, I have planned). *Thinking, thinking* Did I mention that time when I did not even recognize Scoot? o.O It was late evening and I was, like usual, in a rush to get home (I so dislike outdoors in Delhi, alone, after dark). I sped towards the purple scooty, put in the key in the compartment lock and twisted it. It didn't budge. I tried again and again, getting anxious, thinking someone messed with Scoot! But just then I peeped at the number plate. OOPS! Not daring to look anywhere else, ignoring the random uncle who had apparently witnessed the scene and was suspiciously looking at me (seriously. Can't an innocent-looking- and even otherwise innocent- girl make a small mistake? ), went ahead to look for the real Scoot! Although, I'm happy with the books I got. I've started looking for fun, different and rare kind of books at such events. One, you can anyway buy the usual books from anywhere else, what's so special about getting them from a book fair? Just like last time, my *ahem* expert eyes found some beautiful hardbacks at a cool bargain (though I regret not getting more such books, but still!). One of them is pretty cool, a purple book on Wizardology! Talks about different wizards and their characteristics and details. It even has a set of 24 cards to play with. Merlin's Beard! :D Then there's another one that I got just for the sake of remembering my childhood, a huge book called Dr. Seuss's Bedtime stories. Another book I'm excited about getting is Frankenstein, which I'd wanted to read ever since I read The Lost Girl. God, it's so easy to talk about books! What would I even do in life without them? :| Okay. According to this year's reading goals, I'm supposed to read 5 books a month. January was awesome. I've read just 2 in Feb and it's almost over. Anyone recommend me some short and awesome books? OK. I should probably sleep. Maybe I'd get such dreams that would give me something interesting to write on, a dream more elaborate than the one I had this morning where I went to a wedding with my family and Salman Khan was there. o.O The only reference to Salman Khan all day yesterday was about how hard he laughed when he was at Comedy Nights with Kapil. I mean, I don't even like Salman Khan. And it was kind of evident in the dream too, since I at first, mocked the people who were crowding around him but in the end when I thought, 'Okay, maybe I should anyway get a photo clicked with him since he's here,' I couldn't. -_- I'm destined for kattas even in dreams. PS- Someone train me on Title-keeping? The post's title gives off a connotation that doesn't even relate with what I've written. Yes, I'm hudd sleepy right now, but steeeel! I'd someday come up with a post with the same title and with answers too..I wonder about it since the day in class 11 when my friend had told me that I am random. It also reminds me of the day when I was reading 'From the eye of my mind', though its a book about autistic people, but there was a quote about randomness and I immediately felt connected to it and I had messaged you too. BTW, you know what interesting is that I always find atleast one things to relate to, atleast striking similarity with the characters of the books dealing with mental health..I mean SERIOUSLY??????? Anyway, I so loved the randomness and not so randomness in this post. May be I should repeat what you once said (nothing great, okay?) that Random posts come out the best! So ya, you got why I liked it! And ya, there's nothing wrong about staying at home and read. I know you don't need approval but it anyways nice to have it.This is aline from Will Grayson actually. And, this also answers what awesome book you should read!